Prachi Sukhwani is suffering from macular dystrophy since she was in Class III. 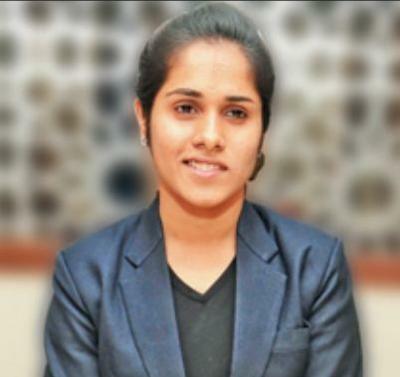 VADODARA: Her vision kept waning steadily but the eyes were firmly set on one goal: studying in one of the world’s premier management institutes, Indian Institute of Management-Ahmedabad. Prachi Sukhwani, 21, a Bachelor of Business Administration (BBA) student at Maharaja Sayajirao University’s Faculty of Commerce, has achieved that goal by cracking the Common Admission Test (CAT). Suffering from macular dystrophy, also known as retinal degradation, since she was in class III, Prachi has lost over 80% of vision over the years. There is no treatment for this rare form of genetic disorder. But this was hardly a deterrent in fulfilling Prachi’s dream. “My short term goal is to join a company, preferably a multinational. Once I get some experience, I will have my own start-up. But my long term goal is to open an NGO for the blind,” Prachi, who had scored 98.55 percentile in CAT 2016 in which she had appeared as a person with a disability, told TOI. Prachi’s father Suresh Sukhwani, who runs a garment business, said for 15 years she was regularly taken to Chennai where doctors advised her to wear special reading glasses. “But she is so engrossed in studies that she finds even those glasses to be an obstacle for her. She got calls from all the top three IIMs, IIM-Ahmedabad, IIM-Bangalore and IIM-Kolkata, and appeared for the interviews,” he said. While Prachi’s mother Kanchan is a homemaker and doubles up as an LIC agent, her elder sister Nishita, who too had completed her BBA from MSU, is pursuing MBA from a Mumbai-based private college. On Monday, while Prachi was busy appearing for the last semester exam at BBA, congratulatory notes flooded on social media groups of MSU. “I have been associated with the BBA programme since its inception in 1993. But this is one of the proudest moments. Prachi deserves special applause for her success despite all odds. Her success is an inspiration for everybody,” said professor Sharad Bansal, dean of Faculty of Commerce.